Home Gaming News “Super Camelot” Now Live on Kickstarter! 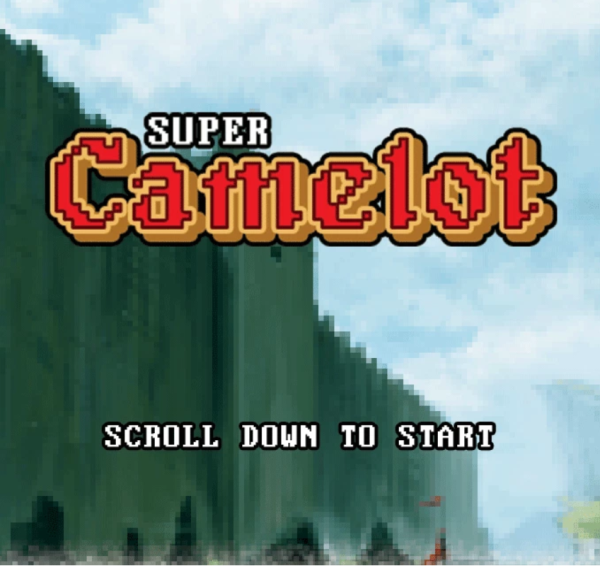 “Super Camelot” Now Live on Kickstarter! (Seattle, WA – Aug. 3, 2018) Gather your friends at the Round Table and compete to see who will claim the Holy Grail in “Super Camelot,” a new board game launched today on Kickstarter at tinyurl.com/SuperCamelot by Catalyst Game Labs and Lynnvader Studios. In “Super Camelot,” 2-4 players enter a 3-D, 16-bit world of adventure, slaying evil things and slashing bushes to collect gems, treasure and a shiny cup! The Super Expansion, available at select backer levels, adds two new characters and expands the game into a 5-6 player adventure. “Super Camelot” was created by veteran game designers at Lynnvander Studios, creator of “Buffy the Vampire Slayer: The Board Game” and “Galaxy Quest: The Board Game”; and Catalyst Game Labs, makers of the hit deckbuilding game “Dragonfire” as well as the classic “BattleTech” and “Shadowrun” universes. For a full explanation of the rules, a playthrough video, and a look at the game’s components, visit tinyurl.com/SuperCamelot. The Kickstarter launched with an initial goal of $20,000, and stretch goals up to $40,000. Stretch goals include player screens, special loot and treasure cards, and all-new characters. The “Super Camelot” campaign comes on the heels of Catalyst Game Labs’ and Lynnvader Studios’ hugely successful “Shadowrun: Sprawl Ops” Kickstarter, which wrapped up at 1,172 percent funded. Catalyst Game Labs is dedicated to producing high-quality games and fiction that mesh sophisticated game mechanics with dynamic universes—all presented in a form that allows beginning players and long-time veterans to easily jump into our games. Catalyst Game Labs is an imprint of InMediaRes Productions, LLC, which specializes in electronic publishing of professional fiction. Lynnvander Studios Inc. is a Canadian based company enhancing existing and developing new creative properties for clients worldwide. Founded in July of 2005 by Thomas M. Gofton, Lynnvander is responsible for the inception of several media initiatives in film and board game design. Lynnvander has created and produced the award-winning fantasy series “Mind’s Eye” as well as the acclaimed Shadowrun parody film “The Gamers: Natural One” and the epic sequel to The Gamers: Dorkness Rising “The Gamers: Hands of Fate”. Lynnvander is also responsible for projects in board game design including Buffy the Vampire Slayer, Galaxy Quest, The Legacy Line, Cowboy Bebop: Board Game Boogie, Dragon Ball Z: The Board Game Saga, Star Trek Attack Wing: The Alliance System, Terminator Genisys: Rise of the Resistance and many more. They are currently designing games for some of the most awesome IPs in the world, including Mega Man, Shadowrun, Reanimator, Red Sonja and Captain Canuck.